Born in Aleppo, Syria, Hilda Tchoboian studied in France. In 1978, she became head of the Armenian Culture House in Décines (France) until 2010. She works in favor of the recognition of the Armenian genocide by international organizations (UN, European Parliament). President of the European Armenian Federation for Justice and Democracy based in Brussels from 2002 to 2011, she has worked as a consultant for the Office of the United Nations High Commissioner for Human Rights. The Dialogue between Turks and Armenians has undoubtedly been one of the defining features of the relationships btween the two peoples in the last years, ushering a change in the nature and status of these relations. 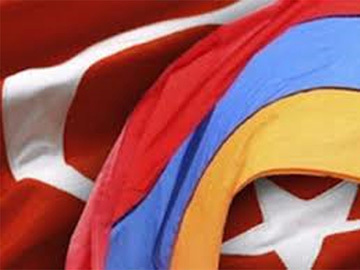 However, although initiatives in this field may seem spontaneous, a closer look at the dominant rhetoric of that “dialogue” and at the course of Turkish-Armenian relations in the last ten years clearly shows a planned and controlled process by the Turkish government, who successfully delegated to the civil society the handling of an extremely embarrassing issue which has been plaguing Turkey’s relations with Western countries for two decades and, more annoyingly, is hindering its entry into the European Union. The dialogue process was thus implemented to defuse the legitimate claims to the recognition of the genocide and to reparations stated by the Armenian community in the Diaspora as well as in Armenia. On the eve of each international decision affecting its national interests, Turkey would launch a new dialogue initiative. In the end, since its inception, the Turkish-Armenian dialogue has nurtured a new Turkish strategy of dodging the Armenian genocide issue while not questioning revisionism as a structured, supported and geographically disseminated State policy. On the Armenian side, the motives driving proponents of dialogue do not stem out of political reflection. This dialogue is experienced as an expression of humane feelings. Some weariness can also be noted in the face of the deadlock created by Turkish revisionism, with an occasional search for new ways to get rid of a psychological burden. There is no denying the courage of those who initiated this campaign, given the well-known unwholesome atmosphere, in Turkey, of widespread racism and violence against the Armenians. However, the words underlined above attest to a deliberate will to eliminate the genocide from the public and political field, which makes the whole text incomprehensible when it comes to asking for forgiveness. - Who must ask forgiveness for a State crime? - Who is entitled to forgive in the case of a genocidal crime? As for forgiveness itself, it is a very old concept. If gestures of reconciliation by which the victim stops wanting to get revenge must be called forgiveness, they are associated everywhere to an accepted “blood price.” One should distinguish the “forgiveness-deal” from the “forgiveness-renouncement,” for the offender who has admitted to his offence and repents. - On the one hand, you can only forgive if the offender confesses, asks for forgiveness, repents, and therefore changes. But then, someone who exposes himself in this way is somehow already another person. It is thus not the offender himself who is being forgiven. - On the other hand, forgiveness is granted as a free and generous gesture, an ultimate pardon, without an expected trade-off or compensation, without repentance or requested forgiveness. It is then granted to the offender as an offender. It is forgiveness at its purest. What is therefore the status of asking for forgiveness while carefully avoiding to name the guilty and the object to be forgiven? - Forgiveness is bestowed freely by the victim. Ironically, the Armenians thanking Turkish authors are the ones who display all the traits of unilateral forgiveness, expecting nothing in return, in front of an absence of genuine request for forgiveness. Genesis: It started in 2001. After a string of successes obtained in 2000 by the Armenian Diaspora– recognition by the French Senate, the Italian Parliament and the Vatican; First Report on Turkey by the European Parliament asking the Grand National Assembly of Turkey to recognize the genocide; a bill nearly submitted to the vote of American Congress until it was opposed by President Clinton – the French Foreign Affairs (seemingly with the help of American advisers) suggested a new approach to the Turkish government to placate the growing demand for Armenian Genocide recognition: dialogue. Financed by the American State Department, presided by David Phillips, the Turkish Armenian Reconciliation Commission (TARC) was born, bringing together former diplomats, scholars and personalities from Turkey, Armenia and the Armenian Diaspora. The Commission recommended exchanges between the two civil societies in the fields of the media, culture, economy, education, partnership between Armenian and Turkish women and between Armenian and Turkish leaders; the only banned theme was the Armenian genocide. In TARC, as in the 2008 Campaign for Forgiveness, a few side statements surrounding the initiatives confirmed the Machiavellian view on the Turkish part. And Baskin Oran about the plea for forgiveness: “The Prime Minister should pray for our campaign. Parliaments throughout the world were passing resolutions. Now they will stop. The Diaspora mellowed. International media are starting not to use the word genocide.” (Milliyet 19th December 2008). What is more, several Turkish members of TARC resigned when, upon request by Armenian members, the InternationalCenter for Transitional Justice (ICTJ) examined whether the 1948 Convention was applicable to the genocide of Armenians. In conclusion, if dialogue is to be given the meaning of reconciliation, the Turkish-Armenian dialogue is missing at least two essential elements which are found in all the previous cases of reconciliation processes in the world – from South Africa to Argentina, Peru, Australia and Togo: Truth/Recognition and Justice/Reparation. Today, a “concealment-revisionist” dialogue, exploited for the best strategic interests of the Turkish state, is necessarily doomed to failure. Even if the road towards recognition is long, Turkish intellectuals should commit to following it, in the wake of the likes of Zarakolu, Saït Çetin and Dogan Özguden, who take great risks, but whose quest for justice inspires trust.